GMB union protests at Doncaster Royal Infirmary against fears jobs could be outsourced. Unions protested outside Doncaster Royal Infirmary over fears NHS jobs at the hospital could be outsourced to another organisation. Representatives from the GMB union, which represents some of the staff at the hospital, stood outside the main entrance on Armthorpe Road carrying banners and playing music. 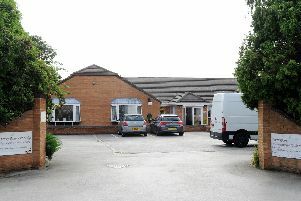 They were joined by members of Doncaster trades council, who expressed their support for the protest over fears that some services at the trust may be transferred to a wholly owned subsidiary. The protest was time to coincide with a governors meeting, which the union believed was due to discuss the issue. GMB NHS officer, Stacey Booth, said they were later told that the issue was not discussed at the meeting. She said: "No one came out to speak to us, but we made it clear that that we are not happy about the idea." She said there may be more protests over the issue in the future at the site. The union says it fears that the trust wants to create a new company and run NHS services from it, and opt out of national agreements on pay terms and conditions. They say workers could be affected by this. A spokesperson at Doncaster and Bassetlaw Teaching Hospitals said no decisions have been taken on the matter and no preferences expressed either. They added: “We always explore all options to aid us in the delivery of high quality patient care and making best use of public money.